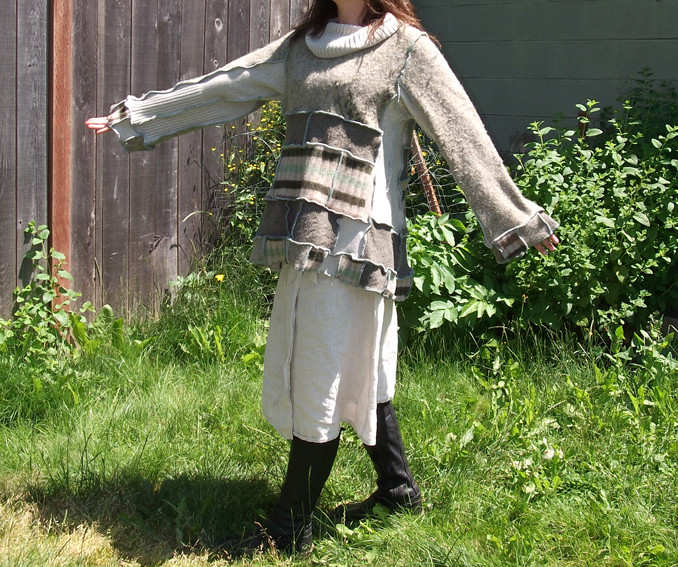 This reclaimed sweater was sewn entirely with my serger, and it is in great condition. 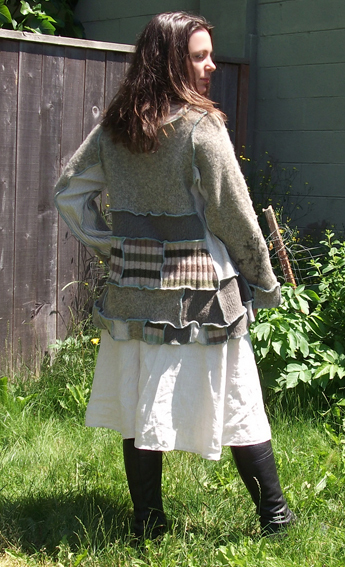 I knotted all the exposed seams where needed, so there is no need to worry about unraveling or fraying. 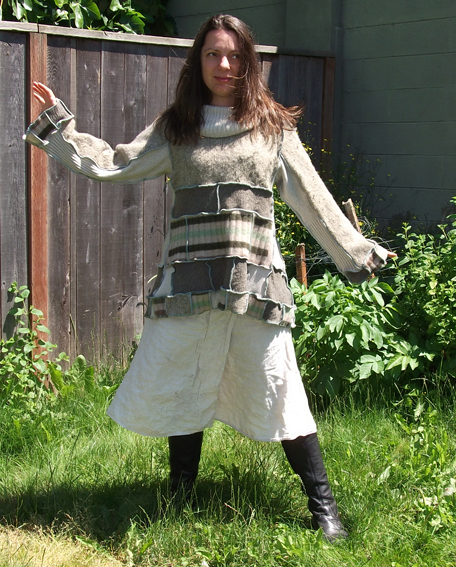 For these types of upcycled items, I collect old sweaters that I no longer wear, some that are given to me by friends, or those that I find at thrift stores. 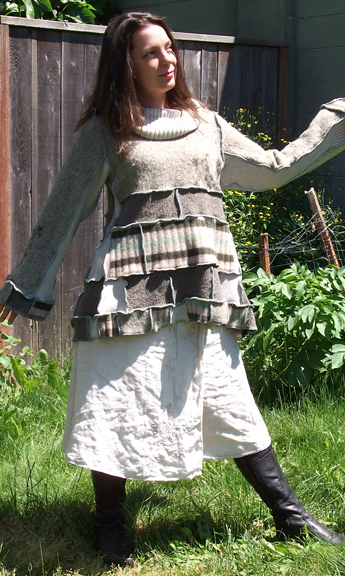 I focus on using mostly natural fibers such as cotton and wool. 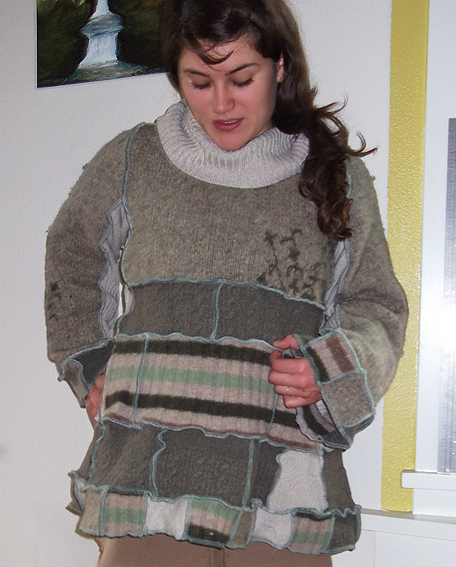 Before I cut up the old sweaters for use, I throw them in the washer and dryer on high heat and temperature to make sure they're super clean and fully felted and pre-shrunk. This top is easy to care for! 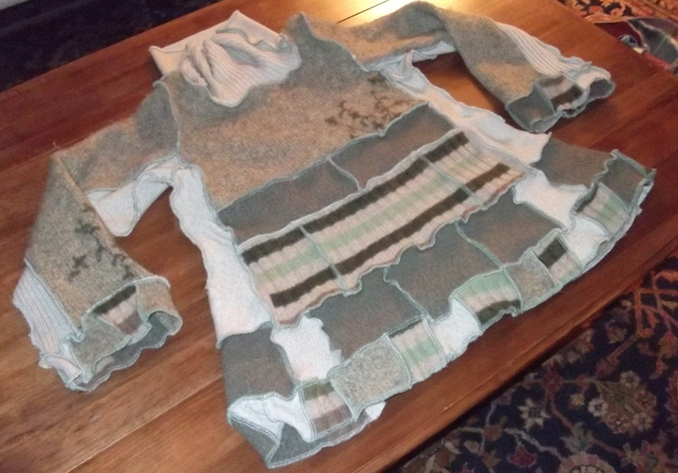 You can machine wash this on the gentle cycle and it will look the same coming out as it did going in. 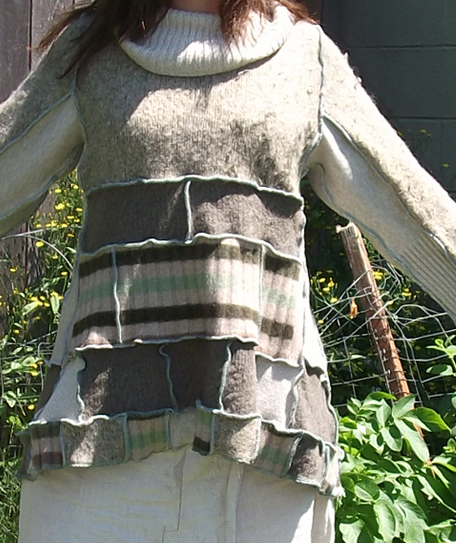 You can also tumble dry on low heat if you like, but I suggest laying sweaters flat til dry to enhance their longevity.